My mascara is one of my favorite beauty essentials. I am referring to my eyelash mascara. But, have you heard of hair mascara? It is getting popular, I guess. As part of aging, we will eventually deal with gray hair. As of the moment, it isn't part of my problem yet. I help my mom dealing with hers instead of getting her hair dyed frequently which we know causes in the long run harmful effects because of the harsh chemicals. Browsing through our local pharmacy, a hair concealer like this one caught my attention. I thought it is a good idea to conceal some gray hair especially those that are only on the hair roots. It is quick and easy remedy for gray hair! 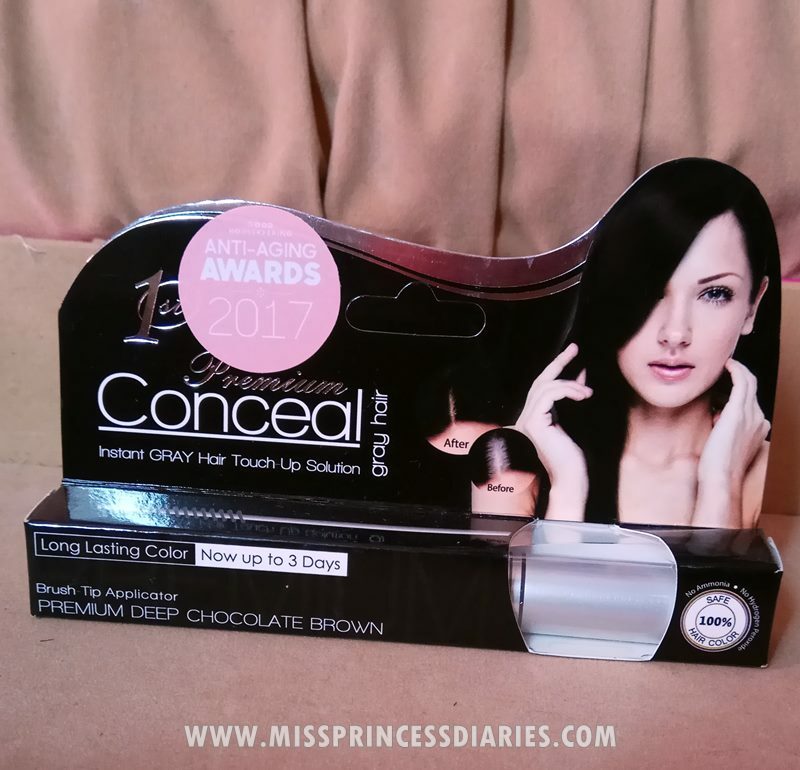 This particular Conceal product is the Premium one which is semi-permanent that lasts up to 3 days. I don't know if they are referring if you don't wash your hair for 3 days because it instantly washes off upon washing the hair. They have the regular ones which washes off also instantly upon shampooing. 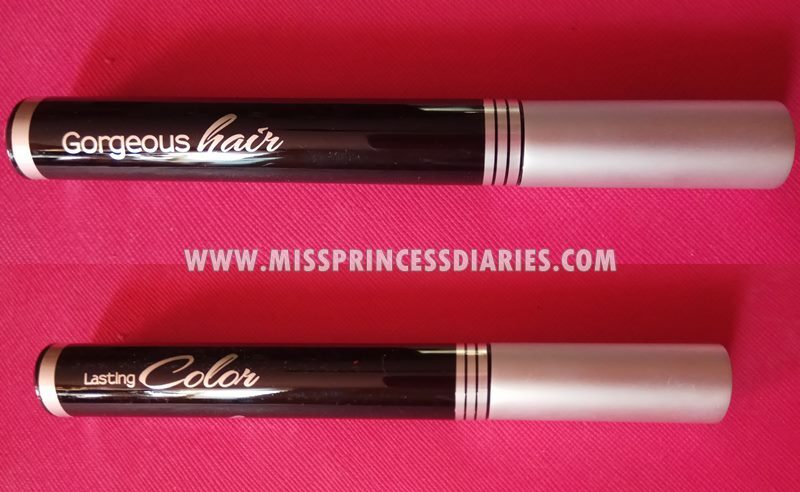 The shade of this one is perfect for Filipino natural black hair. 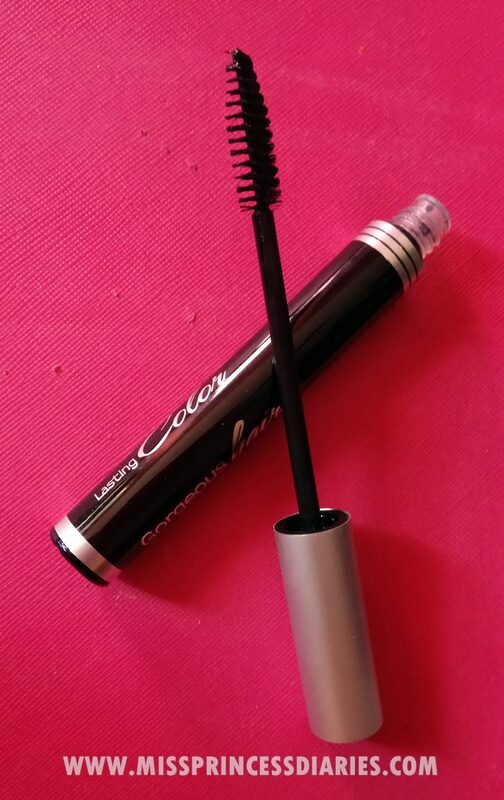 It is handy and in the size same as eyelash mascara. It also has no strong oder and claims to be 100% safe because it has no ammonia and no hydrogen peroxide. I only put lightly and few coats just for a dry run. It 5 minutes that is the results! Instant gray hair concealer indeed. This is very good to use when you hurriedly need to conceal gray hair. On the downside, it doesn't easily dry. So if you don't want to have unwanted stain on your skin, you can use hair dryer to make the drying faster. By the time I applied this to my mom we don't use anything and let it just air dry. Moments later, she was complaining on me of stains on her hand by touching her hair which she really don't like. The brush tip applicator is good to use on roots. But when it comes to the middle to tip part of the hair, it gets harder and it has a high tendency to tangle the hair. So, this is great to use only for the hair roots. The formulation of the product is not creamy but on the thin side which makes it easy to apply. The rich color and the variation of the availabililty of different shades is good too. It is also safe for sensitive scalp. There is no itching or irritations noted upon use. Overall thoughts: Although it is semi-permanent, I think this is only best use when you only needed the most. For example, you have a gathering to go to and you want to not show up little gray hairs starting to grow and it isn't the right time to also go to the salon. Then, go for this quick remedy. It is easy, handy and can be applied anytime. The price is in mid-range and has the same price with other brand competitors.